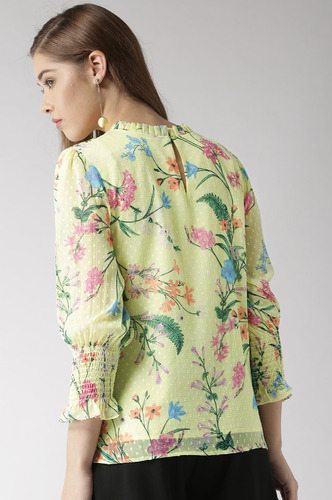 This playful mix of florals are always in for the modern spin. 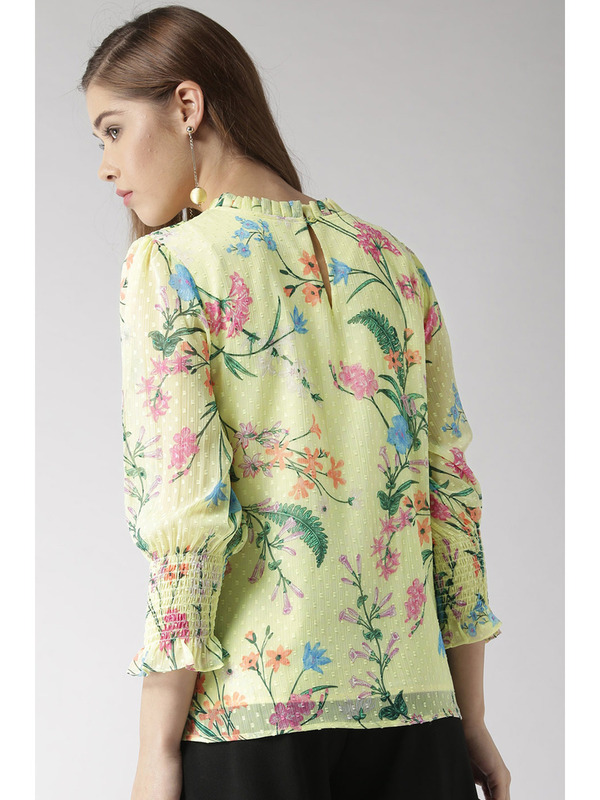 Take them from dusk to dawn with ease, while flaunting those refreshing and elegant styles. 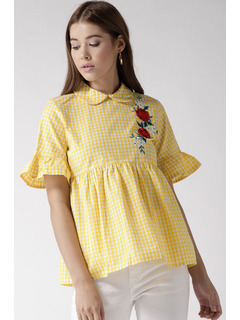 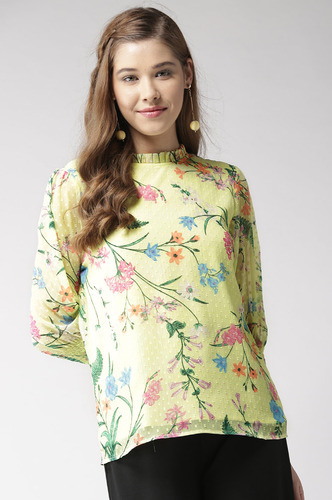 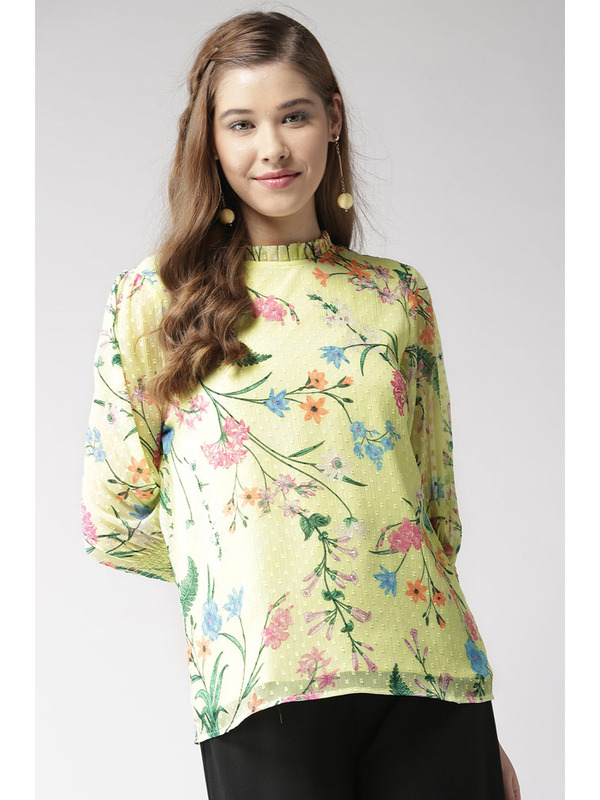 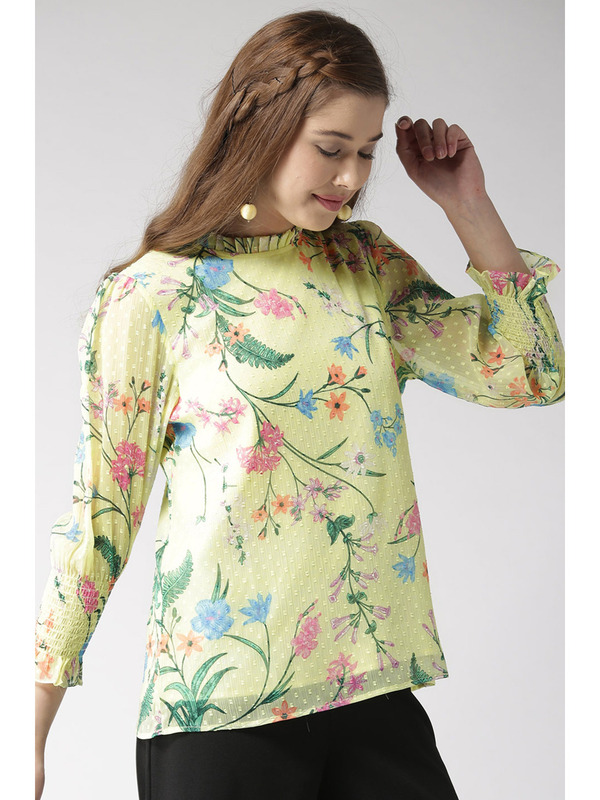 Yellow Floral Printed Polyester Chiffon Top. 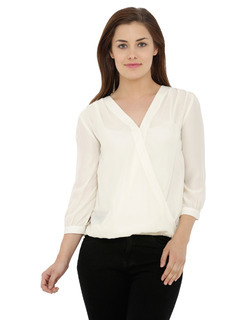 Polyester Crepe lining inside for comfort and ease.